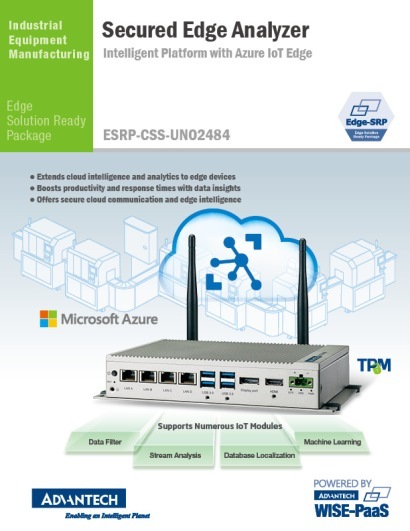 Allied with diverse software partner, Advantech provides a brand new series of Edge SRP, that equipped with different edge computing ability.Intelligent Platform with Azure IoT Edge, ESRP-CSS-UNO2484, can extend cloud intelligence and analytics to edge devices, boost productivity and response times with data insights, and offers secured edge. 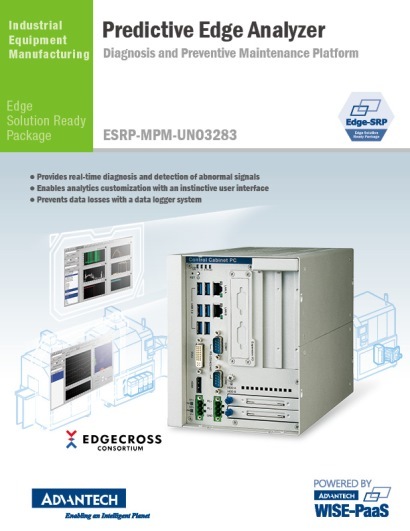 Allied with diverse software partner, Advantech provides a brand new series of Edge SRP, that equipped with different edge computing ability.Machine Preventive Diagnosis Analyzer, ESRP-MPM-UNO3283, can provide real-time diagnosis and detection of abnormal signals, and enable analytics customization with an instinctive user interface. 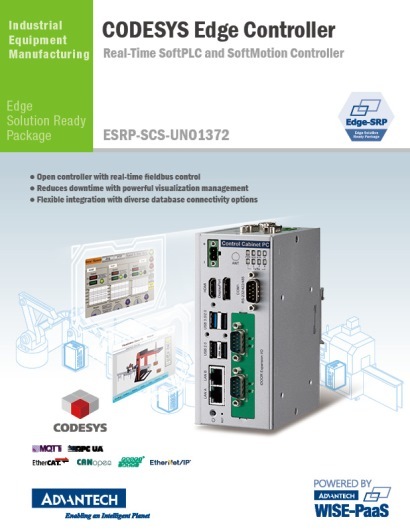 Allied with diverse software partner, Advantech provides a brand new series of Edge SRP, that equipped with different edge computing ability.SoftControl Solution, ESRP-SCS-UNO1372, with single open controller with real-time fieldbus control, reduced downtime with powerful visualization management, and diverse database connectivity options. 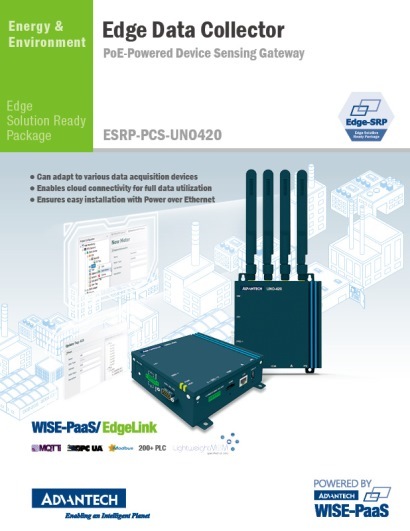 Allied with diverse software partner, Advantech provides a brand new series of Edge SRP, that equipped with different edge computing ability.Protocol Conventer Solution, ESRP-PCS-UNO420, with easy installation with combined power and data cable, PoE offers considerable cost saving, and can adapt to various data acquisition devices. 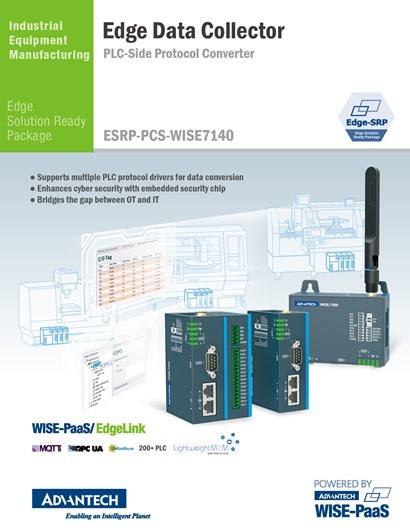 Allied with diverse software partner, Advantech provides a brand new series of Edge SRP, that equipped with different edge computing ability.Edge Data Collector, ESRP-PCS-WISE7140, supports various PLC protocol drivers for data conversion, enables enhanced cyber security, and equipped with multiple I/O for data acquisition. 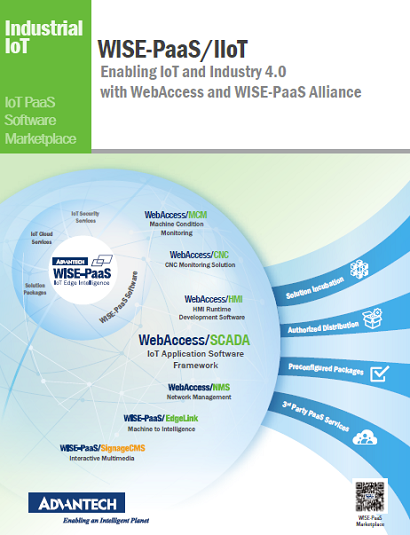 The WISE-PaaS Edge Intelligence Platform contains information on the WISE-PaaS IoT application software, including WebAccess/SCADA, WebAccess/HMI, WebAccess/CNC, WebAccess/MCM, WISE-PaaS/EdgeLink, online IoT cloud services, and IoT security services. 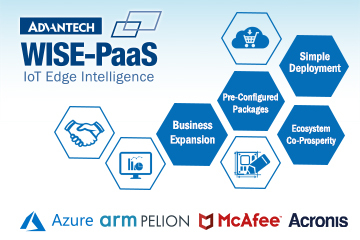 All software services are on WISE-PaaS Marketplace, Advantech's online software shopping website. 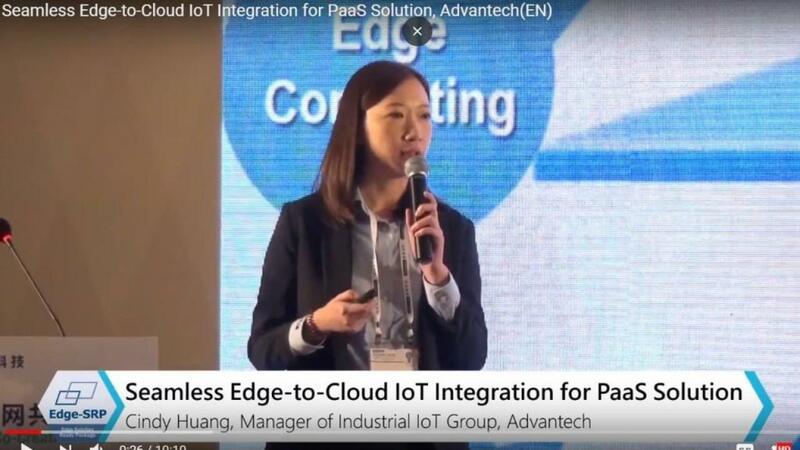 With the help of Advantech, a world-renowned steel corporation in Taiwan successfully built an equipment monitoring and diagnosis cloud platform system on WISE-PaaS private cloud that provided defective equipment detection, preventive maintenance, signal stream displays, alert broadcasts, and many other useful functions. 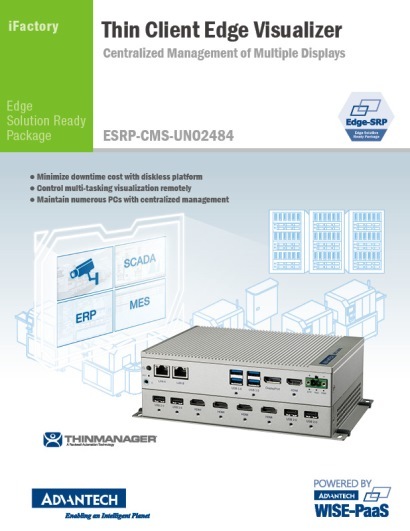 Advantech E&E M2I is an application-ready solution integrating both software and hardware. By enabling the easy configuration of required functions, users can complete the equipment networking and remote management in a short time. 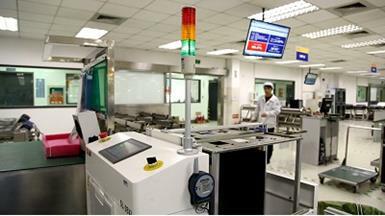 As system integrator, SCADA technology expert, and VIP member of Advantech’s WISE-PaaS Alliance, CYAN Intelligent adopted SCADA software to develop a data acquisition and remote management system to fully grasp the production process for a wafer probing factory in Taiwan. 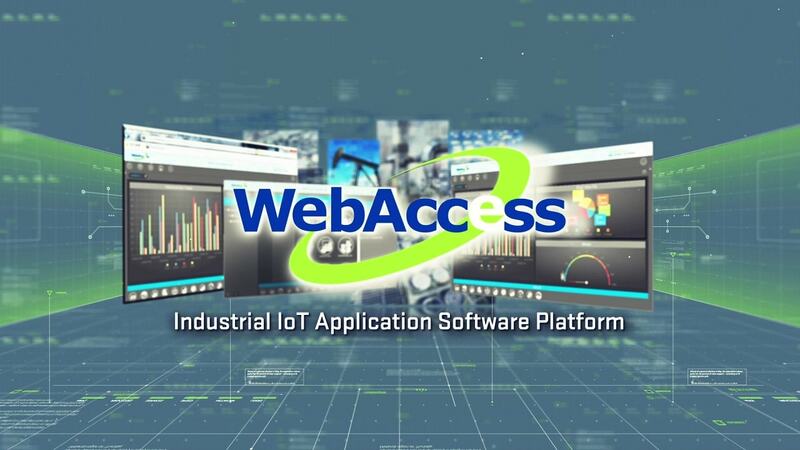 Advantech WebAccess/CNC is a core software solution for networking CNC machines. 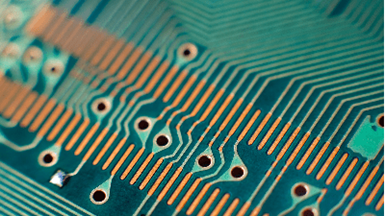 Leveraging the 100% web-based architecture of the WebAccess/SCADA platform, WebAccess/CNC provides not only crucial CNC networking functions, but also the benefits of SCADA software for CNC machining. 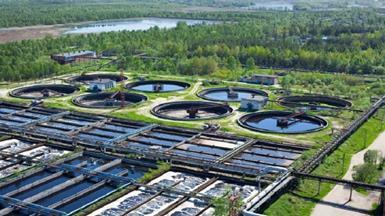 As we enter the era of the IoT, water treatment equipment will require not only automatic monitoring and control capabilities, also cloud functionality to facilitate system development. 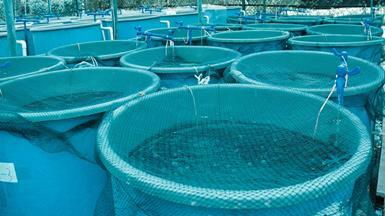 Advantech offers intelligent water treatment solutions integrated with WebAccess software and diversified hardware as an automatic monitoring and control system. 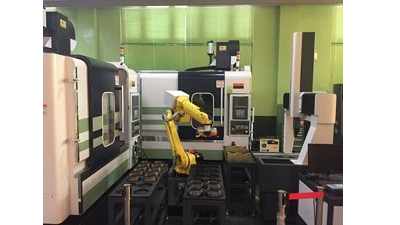 Avex-SG has cooperated with Advantech to ensure that CNC machine tools can directly collect relevant information without needing to install additional sensors. 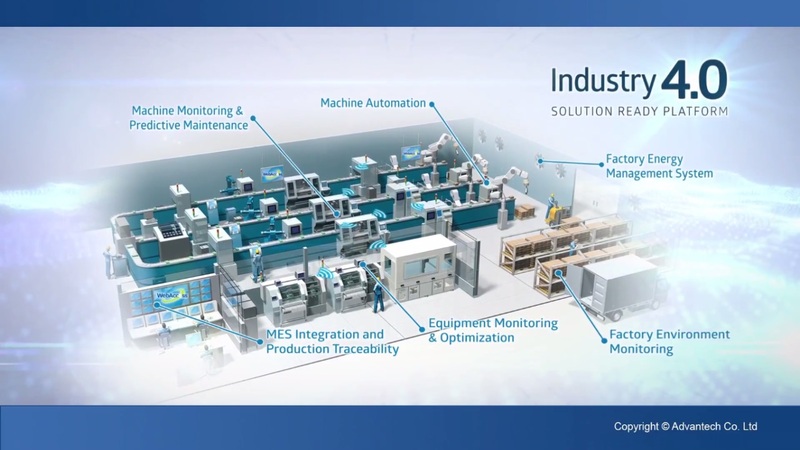 Advantech will continue to develop and support major CNC network-type controller manufacturers, helping them easily implement intelligent manufacturing and improve the production efficiency. 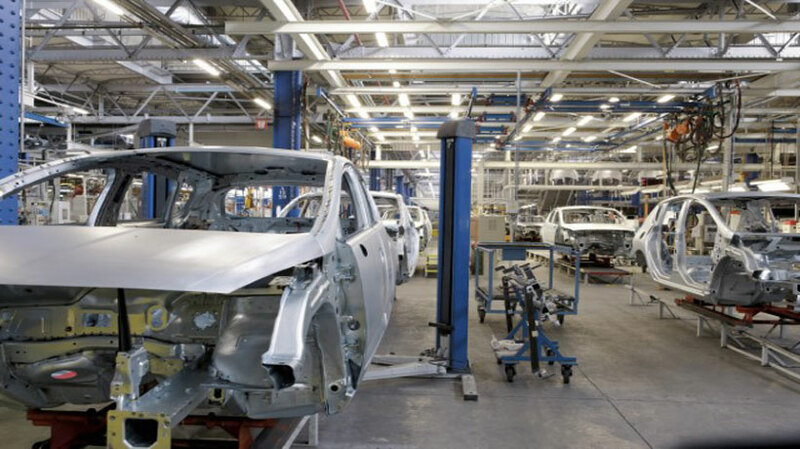 IBCON’s factory equipment monitoring system equipped with Advantech’s WebAccess/SCADA software platform has been adopted by a well-known automobile manufacturer and a leading tire manufacturer. 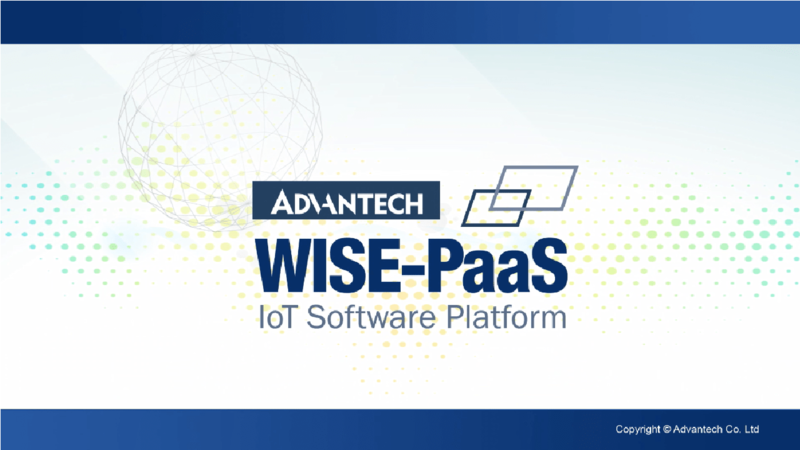 And IBCON has also become a VIP member of Advantech’s WISE-PaaS Alliance in order to collaboratively promote the development of Industry 4.0 in Thailand. 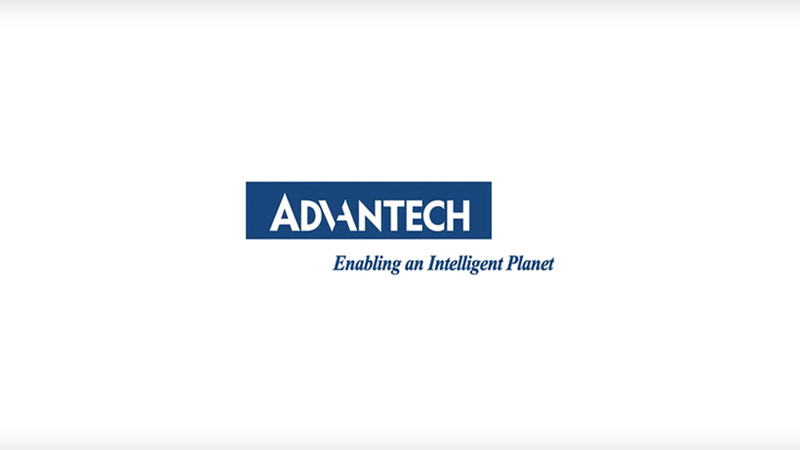 Advantech provided the panel maker a remote monitoring solution that comprised its multi-functional WISE-4050 modules and WebAccess/SCADA software for accurately collecting data and generating relevant charts and reports for implement production line monitoring quickly and conveniently. 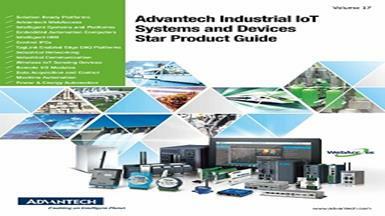 The 2017 Advantech Industrial IoT Systems and Devices Star Product Guide contains information on the hottest Advantech products. 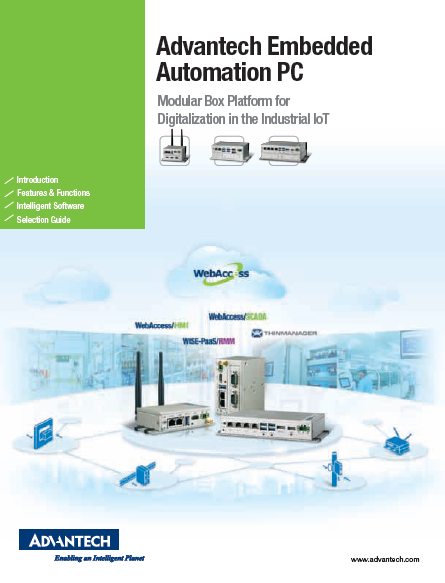 This 24 page brochure includes products from SRPs, WebAccess, HMI, industrial computers, industrial communications, IoT sensing devices, data acquisition cards and modules, to vertical-focused devices on MA, and P&E. 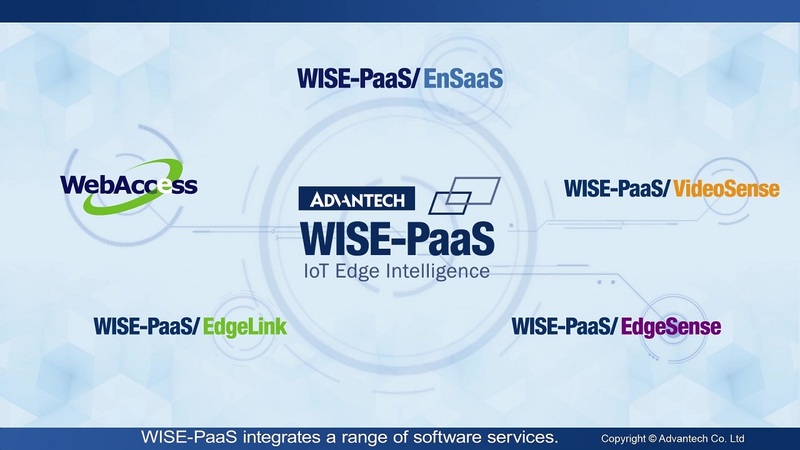 Advantech’s WISE-PaaS/IIoT is a market-oriented cooperation model using WebAccess, the IoT software framework as its core, to link solutions, partners’ strengths and strategic co-marketing to get into focused vertical markets. It aims to offer complete IoT solutions for a wide array of markets, also achieving win-win partnerships. 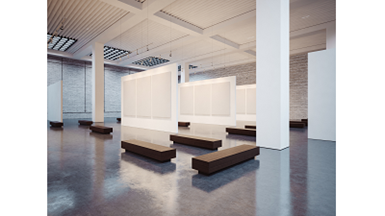 From the opening of the exhibition hall, the smart building management system developed by Leegood in cooperation with Advantech's WebAccess has been in use. The excellent benefits provided by the system have also enabled the exhibition hall to successfully achieve a “Diamond” rating – the highest level of Taiwan’s Intelligent Building Label. 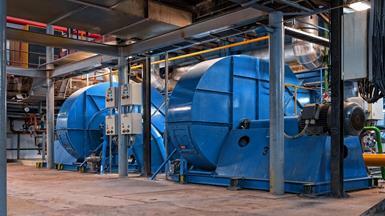 In the Industrial 4.0 era, fanless and ruggedized properties are not the only criteria for Industrial Embedded Computers. Advantech’s Industrial Embedded Computers offer flexible and expandable features and our new UNO-2000 series are based on a new modular form factor. 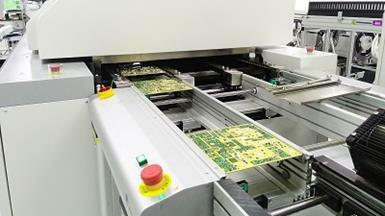 Integrated with iDoor expansibility, the new UNO-2000 series is adapted for Embedded Automation applications. UNO-2271G is the world smallest embedded computer being the same size as a standard SSD, and the optimized performance of UNO-2484G is only 7.9” with TPM2.0 for Cyber Security.They both easily integrate with Advantech WebAccess which helps erase the gap between IT and OT. 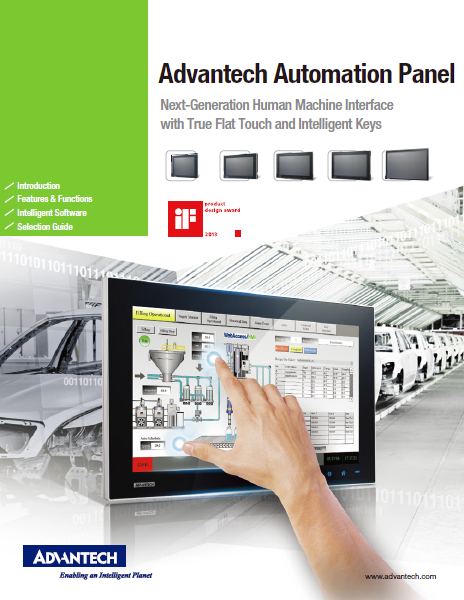 Advantech’s new range of star products include several new models in the Touch Panel Computer(TPC), Stationary Panel Computer(SPC) and Industrial Monitor(FPM) range of devices, all of which come with true flat style by 16:9 multi-touch displays or 4:3 5W resistive touch, high-performance dual-core processors and IP66 certified front panels making them more elegant and fit for smart factory. 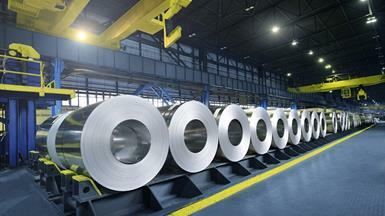 The concept of “smart manufacturing” has flourished in recent years. 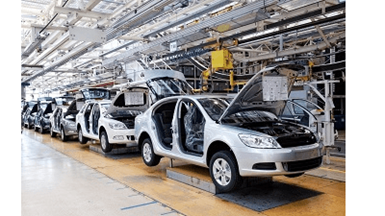 Industry 4.0 will upgrade global industrial capabilities by increasing communication among equipment, devices, and humans via Internet connectivity. A cloud-based IIoT SCADA gateway is a system capable of supporting data storage and performing data communication from data concentrators to data consumers.